How do I record sessions and add players to the app? 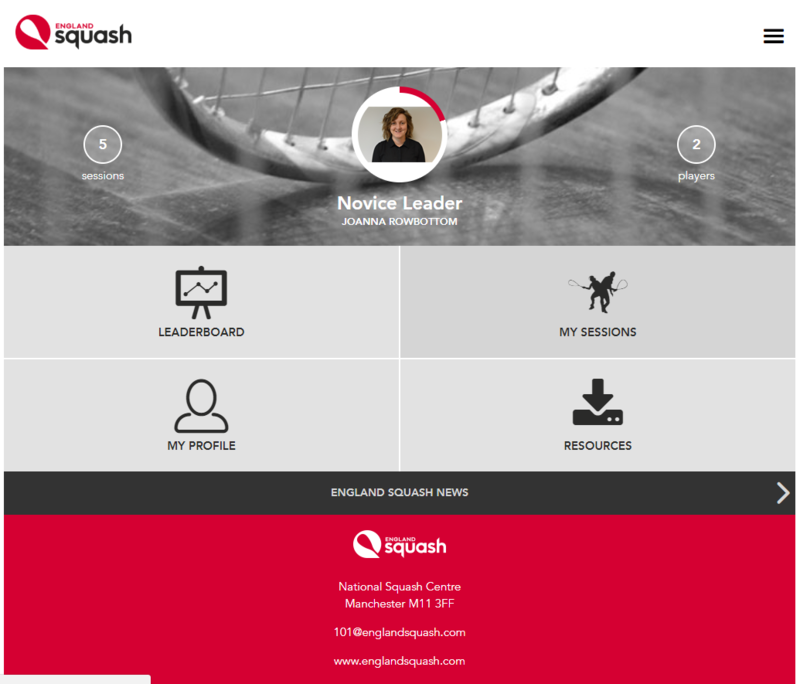 Once you have logged in to the England Squash app you will arrive at the home page where you will find all the navigation tools to be able to use the app. Having trouble logging in? 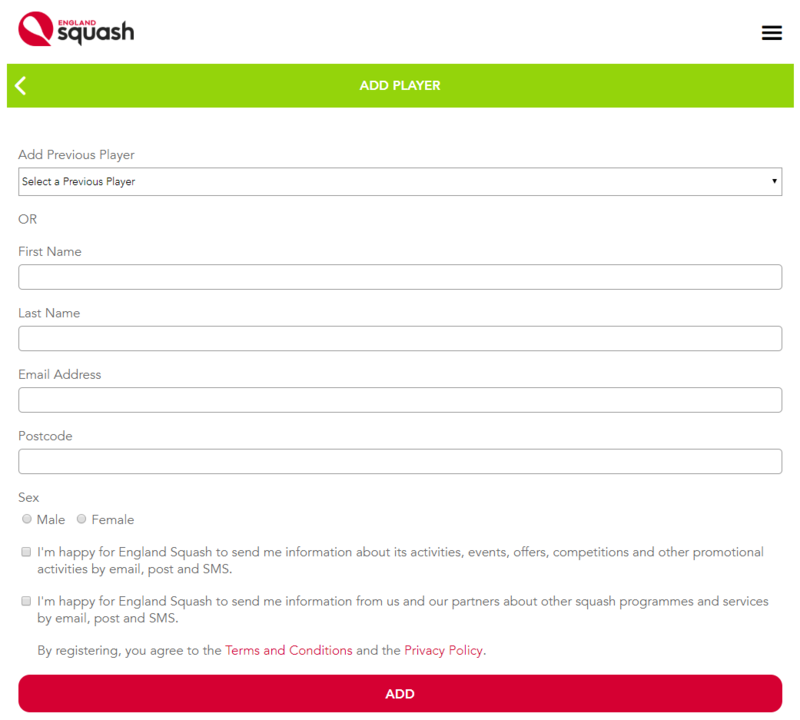 Below your profile information you'll see quick links that will take you straight to either the 'leaderboard', 'my sessions', 'my profile', 'resources' or to 'England Squash news'. As well as these quick links we have a drop down menu navigation tool in the top right hand corner, indicated by 3 black lines, which will give you the option to go straight to any page. The England Squash logo in the top left corner will always bring you back to this page from wherever you are on the app. 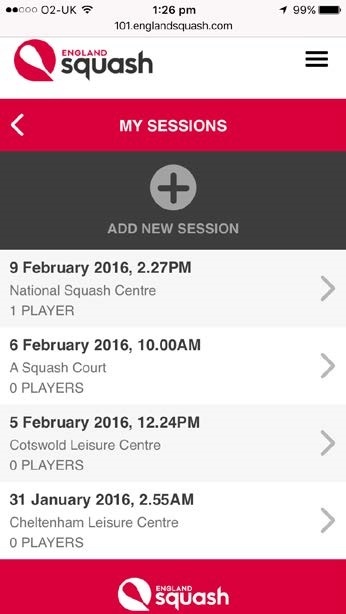 The 'My Sessions' page shows you all the sessions you have organised and the number of players that attended. You will see all your sessions in a list and can select a session to edit the details. To add player go to 'My Sessions' select the session which you want to add a player too or add a new sessions (see My Sessions section above). Once you have added a new player to your list, you can add them to future sessions by selecting them from the 'select a previous player' drop down list. 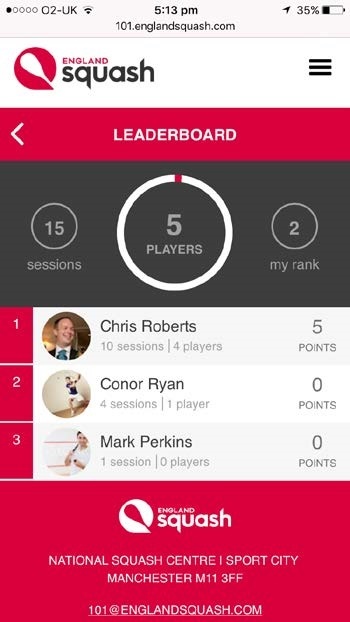 The Leaderboard shows you where you are compared to other squash leaders in order of how many points you’ve earned. At the top of the page we can see the total number of sessions run by squash leaders and the total number of players that have attended these sessions, as well as your own rank on the right. Below that you will see the full leaderboard and can compare yourself to the other squash leaders from around the country. Earn more points and climb up the leaderboard by running more sessions and getting more players to your sessions to receive rewards and incentives.